Digital tags, such as QR codes and NFC tags (Near Field Communication), enable new ways to discover and utilize services. Our Tag Manager service offers an easy solution to produce and manage mobile pages, contents and functionalities behind the digital tags (QR/NFC). Tag Manager enables you to create tailored mobile services, suitable content for different purposes and connect specific services to digital tags. You can develop for example questionnaires and registration forms, offer versatile marketing campaigns and collect customer data. Tag Manager helps you to follow consistently the usage of the tags and other statistics. You can find more information on digital tags from here. With our web-based interface you are able to manage your content and operations easily as well as monitor the statistics related to each tag. 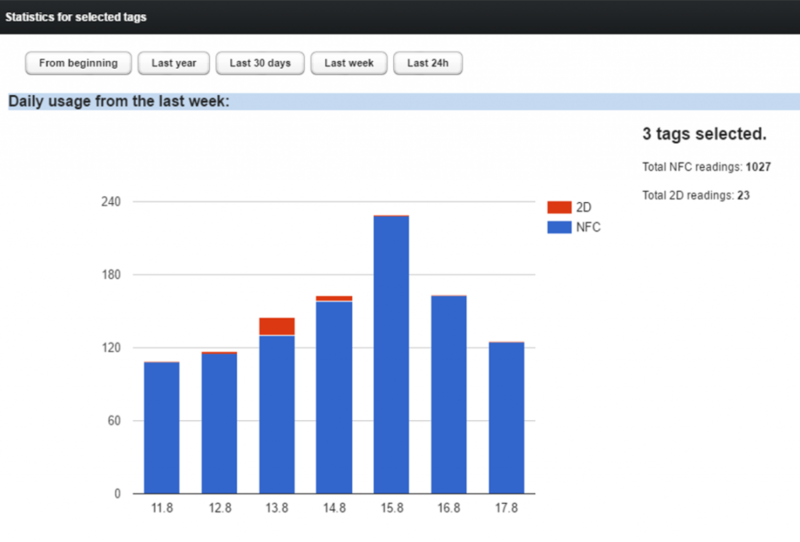 Tag Manager enables detailed statistics and easy monitoring of each tag’s current status and usage. Please find additional information on different services developed with Tag Manager from our Customers and References page.